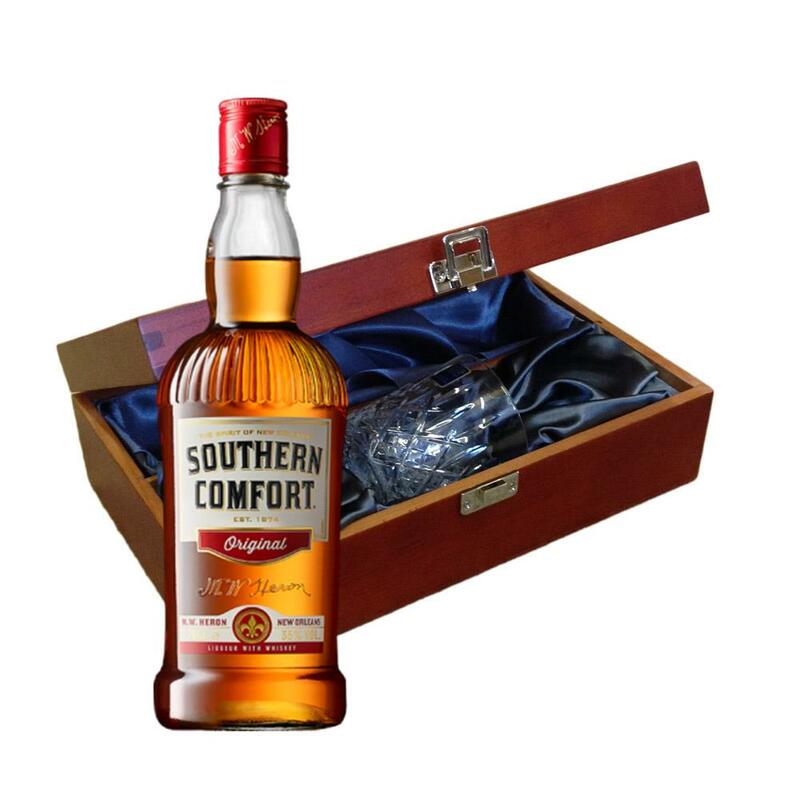 Send a bottle of Southern Comfort wine in a lovely box beautifully stained featuring traditional joins with hinged lid and clasp fastening. Along with a beautiful hand cut lead crystal Royal Scot glass. All gifts come with a gift card with a message of your choice. Southern Comfort Send a bottle of Southern Comfort a traditional American liqueur made from bourbon and peaches with citrus and orange overtones.